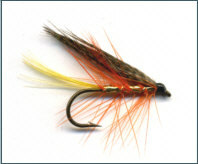 The history of Scottish trout flies is truly rich and colourful. 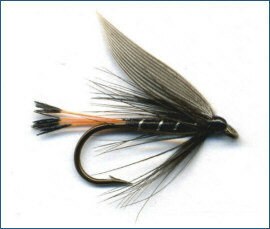 The origin of many of the popular fly patterns of the last century, and still in common use today, is far from clear, lost in the mists of legend and folklore. But one thing is certain. 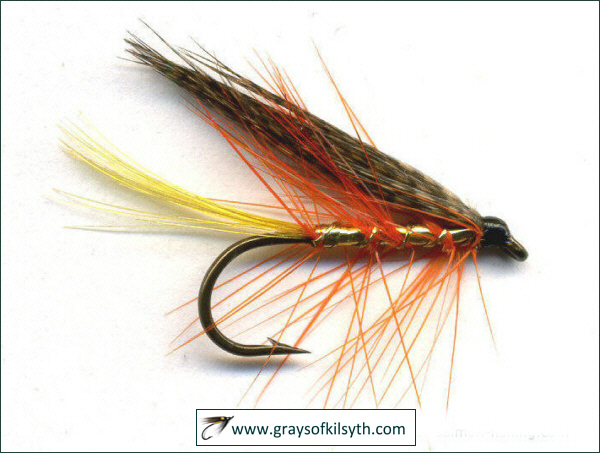 The many patterns which survived the century did so because they caught trout, proven patterns, developed and refined over generations of Scottish fly fishers, patterns we know so well today - Mallard and Claret, Greenwell's Glory, Grouse and Green, Black Pennell, Silver Butcher, Cinnamon and Gold, Woodcock and Yellow, Soldier Palmer, Blae and Black, Peter Ross, Teal and Silver, to name but a few. We do have some knowledge of the kind of fishing flies in common use on Scottish rivers in earlier times from the writings of WC Stewart, "the practical angler", who promoted the use of simple spider patterns for the most part, and very effective they were too in catching Scottish trout, I suspect because of, rather than despite, their simplicity. 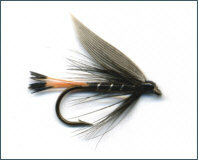 Examples of these simple flies, tied in the Stewart style, are shown below. 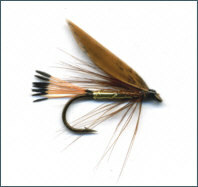 We also have to thank John Reid, author of "Clyde Style Flies", for his descriptions of the very particular style of fishing flies used by fishermen on that great trout river, the Clyde, including flies developed by Clyde fishers specifically for their river, flies like the Hen Blackie, Reid's Assassin and Cran Swallow, as well as other traditional patterns, such as the Greenwell's Glory, all dressed sparsely to imitate as closely as possible the insects on the Clyde. 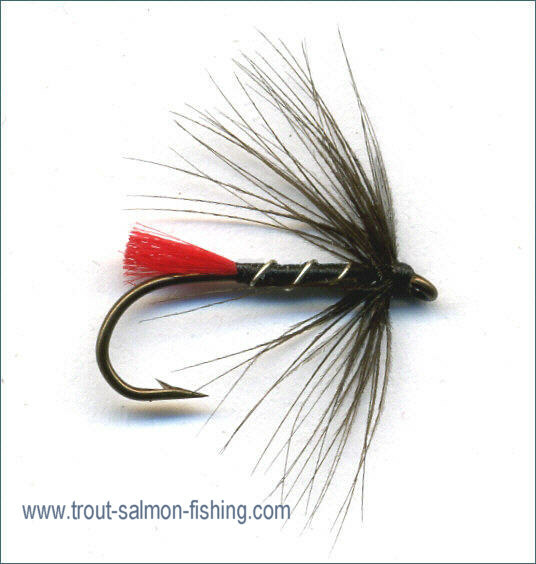 See also A Book of Flies. 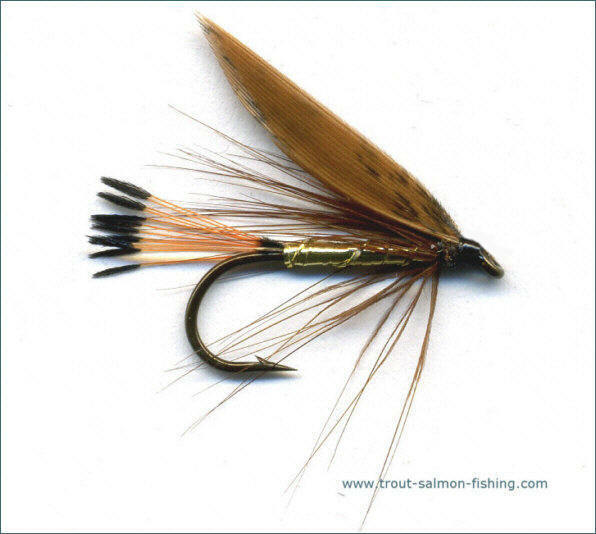 This little book of flies, transcribed from a meticulously kept hand-written notebook and published here for the first time (August 2007), lists detailed dressings of the many fly patterns used by the author in a lifetime of fly fishing on the Clyde and other Scottish waters. 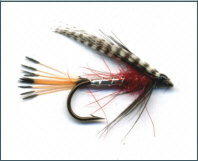 In listing over 150 trout fly dressings, many of them little known beyond the Clyde valley, Tom Forsyth has given us a valuable insight into the kind of trout flies which were popular in Scotland throughout the twentieth century. 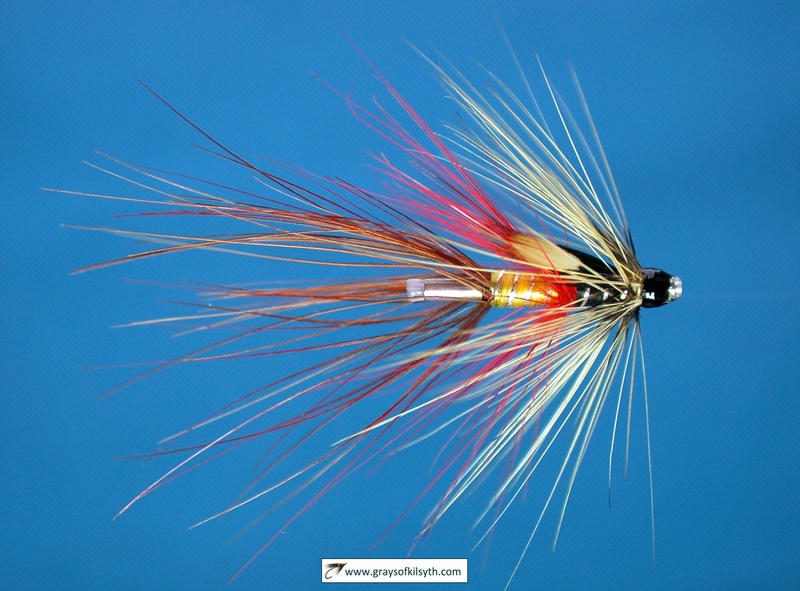 Of particular interest to the modern trout fly fisherman and fly tyer will be the dressings of the many "Clyde StyleÂ�" flies, patterns unique to that great Scottish trout and grayling fishing river. 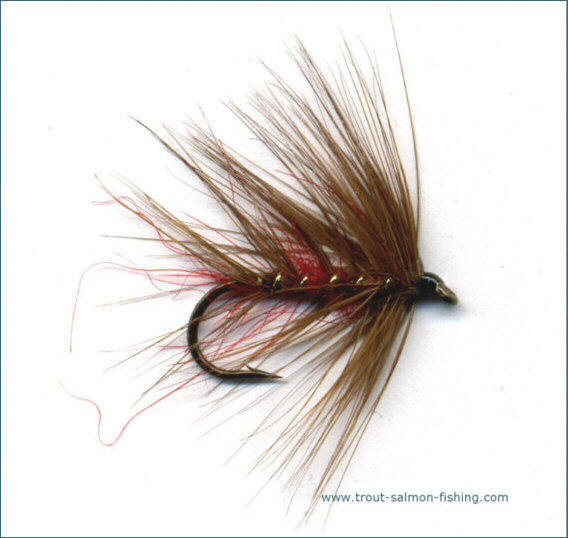 Also included is a helpful Monthly Guide to Clyde Wet Flies, which lists the flies appropriate for each month throughout the fishing season on the River Clyde. 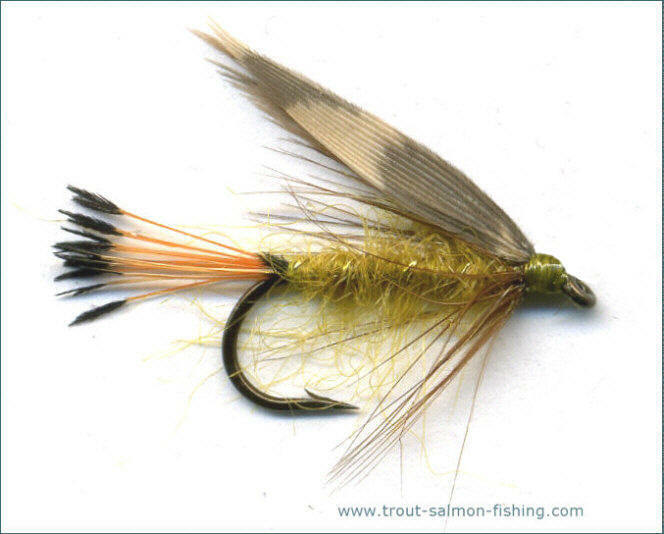 For most of us, though, the mention of Scottish trout flies will conjure up pictures of the many beautiful loch fly patterns, simple trout flies dressed from native fur and feather, their origins perhaps long forgotten yet still as popular today as ever among those who fish for trout on the lochs of Scotland. 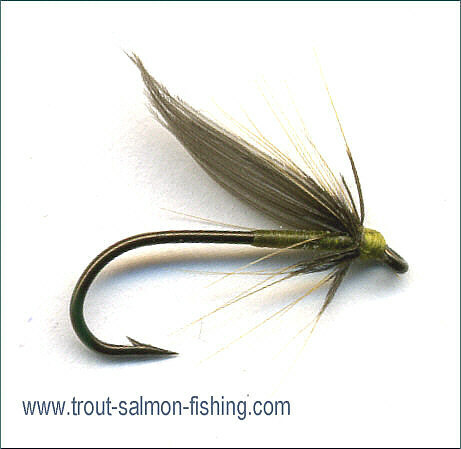 I list below just a small selection of some of the most famous traditional Scottish loch trout flies, as fished on a cast of three or four, from a drifting boat or from the loch shore. 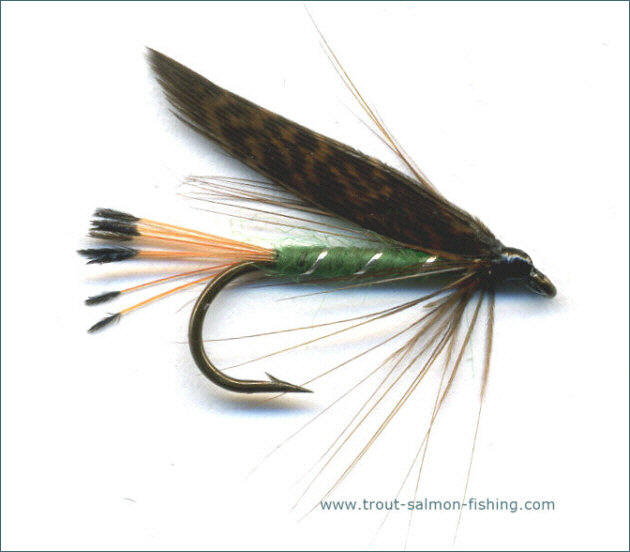 Most very old patterns, some of origin unknown, they owe their survival to their reputation as reliable takers of brown trout on lochs, large and small, the length and breadth of Scotland. 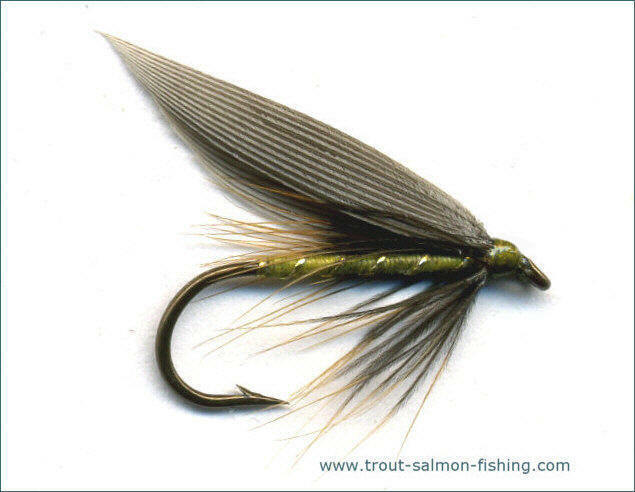 "The most deadly loch fly ever invented, dressed with split wings well laid back, used on the bob and made to trip across the waves, it is an exceedingly reliable fly on every loch that I have fished. 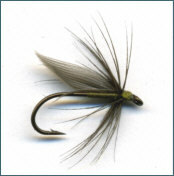 If winged in the ordinary way it is quite a good tail fly and used by many in this position with considerable effect". So said R. C. Bridgett. Credit for the Butcher is accorded to Messrs Moon and Jewhurst. 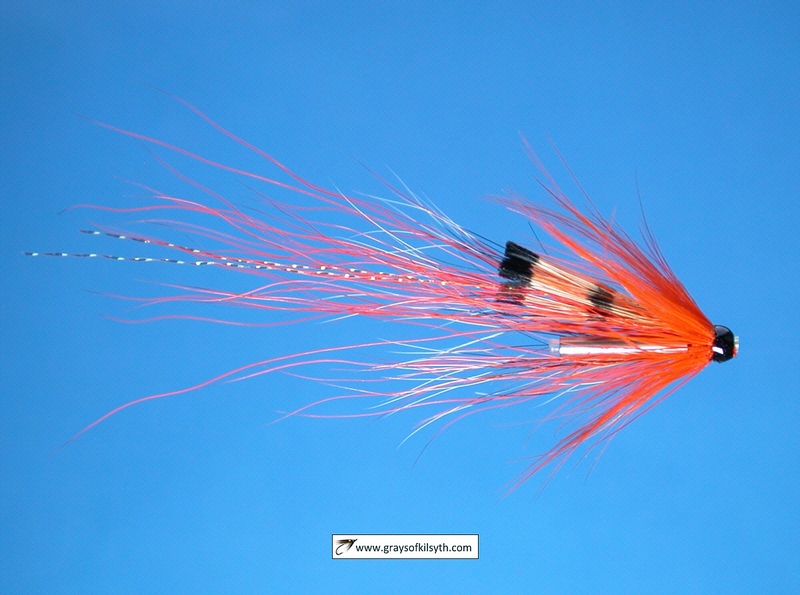 Originally known as Moon's Fly, around 1838 the name changed to "Butcher", the trade of its inventors. The name is apt in other ways. 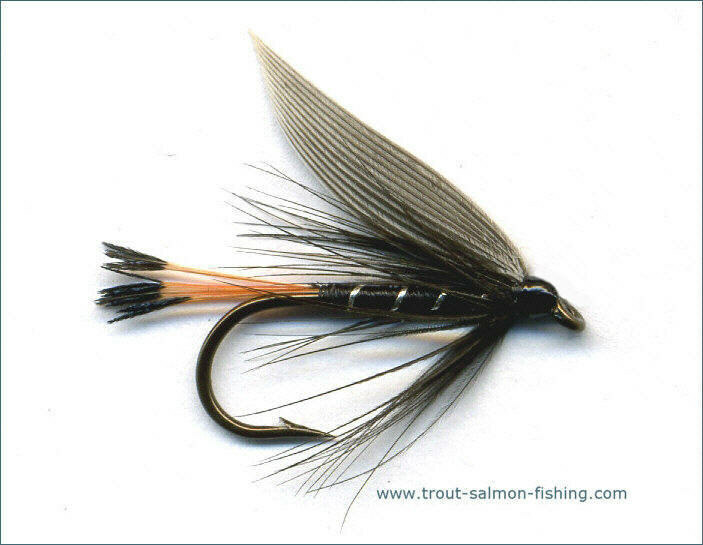 First dressed in 1854 on the Tweed by James Wright, of Sprouston, for Canon William Greenwell of Durham, the Greenwell's Glory has since become one of the most well known and widely used of all British trout flies. An excellent general olive representation. 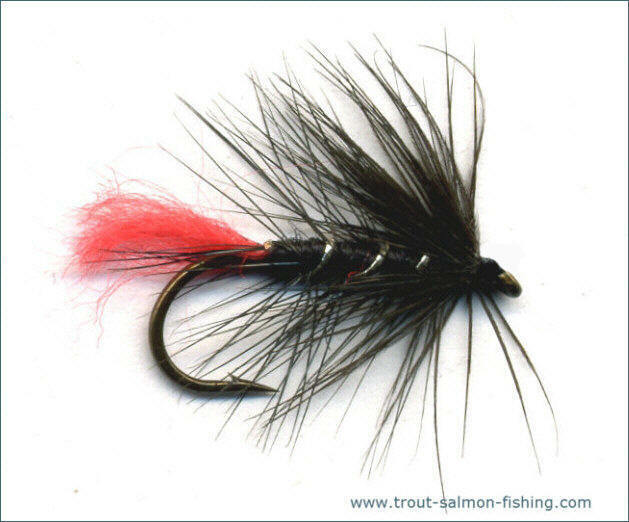 Dating from the turn of the century and adapted from the teal and red by Peter Ross of Killin on Loch Tay, this is one of the most popular loch flies ever devised. A good tail fly. 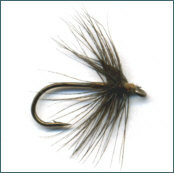 Devised in the nineteenth century by H. Cholmondeley Pennell, the Black Pennell is particularly popular in the remoter waters of the Highlands. 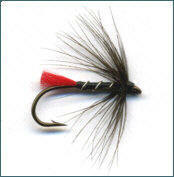 Commonly fished as a bob fly, it is especially good early in the fishing season when black midges are hatching. 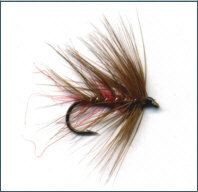 Probably deriving from the age-old Cinnamon fly, the Cinnamon and Gold is particularly good fished in the smaller sizes on the tail of a wet fly cast. The Grouse and Green is one of the best of the grouse winged trout fishing flies. 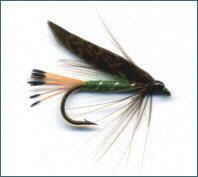 A good imitation of the sedge, or caddis fly. 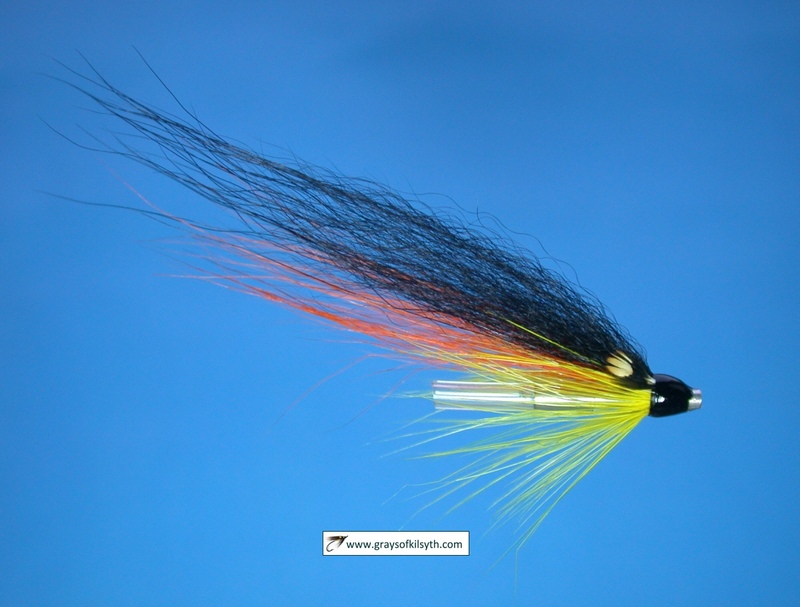 The date of this fly's creation is difficult to pinpoint. 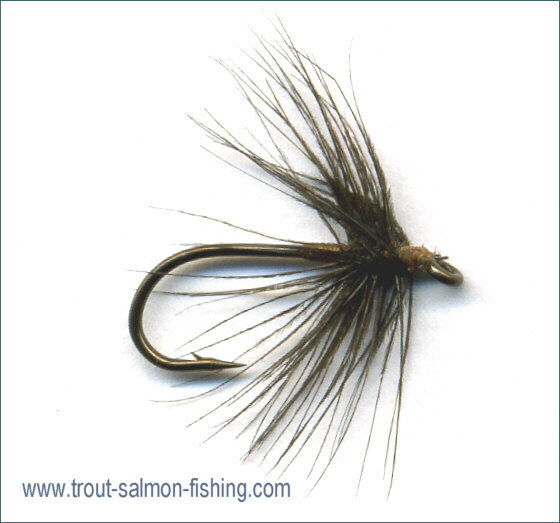 Evolved from obscure Scottish origins, it is best fished, like the Black Pennell, early in the season as a top dropper, probably taken by the trout for a hatching midge. 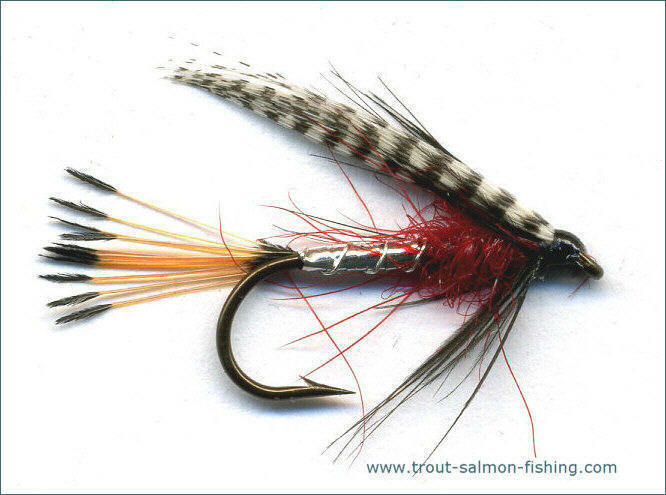 A simplified version of the Dunkeld salmon fly, this is a good attractor pattern on both lowland and highland lochs. 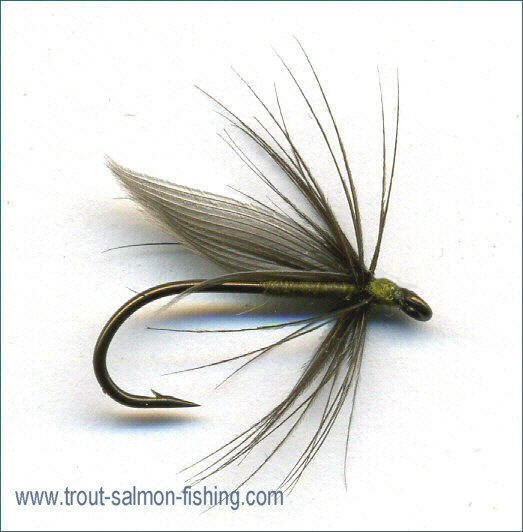 One of the great loch flies, fished on the tail of a cast as a small fish imitator, it is also highly regarded as a sea trout fly. 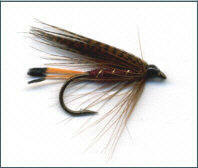 Accredited to William Murdoch of Aberdeen, the Mallard and Claret has few peers as a general loch fly. 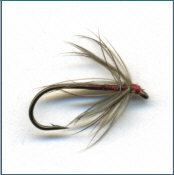 No fly box is complete without it, or its near relative, the Grouse and Claret. 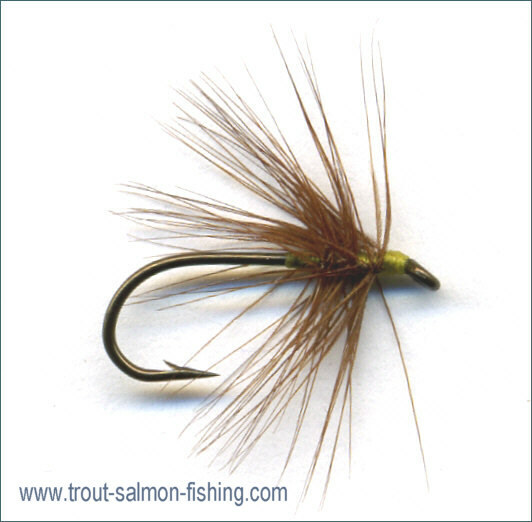 A favourite of many trout fishermen here in Scotland as a first dropper. 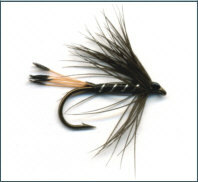 Once banned from competitive angling on account of its killing properties, the Black Zulu is best fished as a bob fly, tripped along the top of the waves on dull windy days. 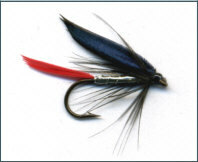 Almost as good is the Blue Zulu, a popular variant. 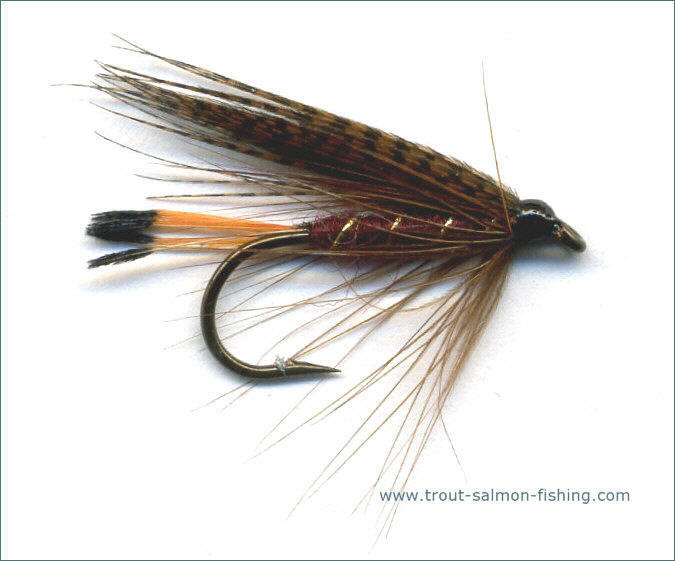 Probably the best of the Woodcock series of trout flies. Like the Grouse and Green, a good caddis representation used to good effect on summer evenings. It also has a reputation among Scottish sea trout fishers. 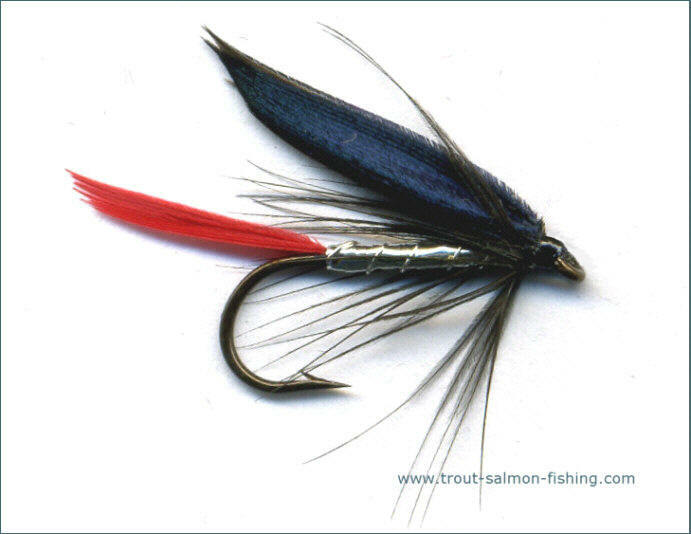 Not many flies kill as many trout in the remote lochs of the Scottish Highlands as the Red Palmer, other than perhaps the Black Zulu. 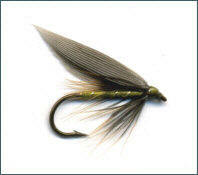 Particularly good as a bob fly in a big wave. 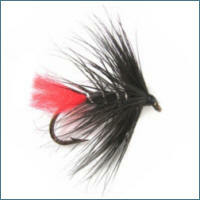 With the addition of a red wool tail, it becomes the Soldier Palmer.